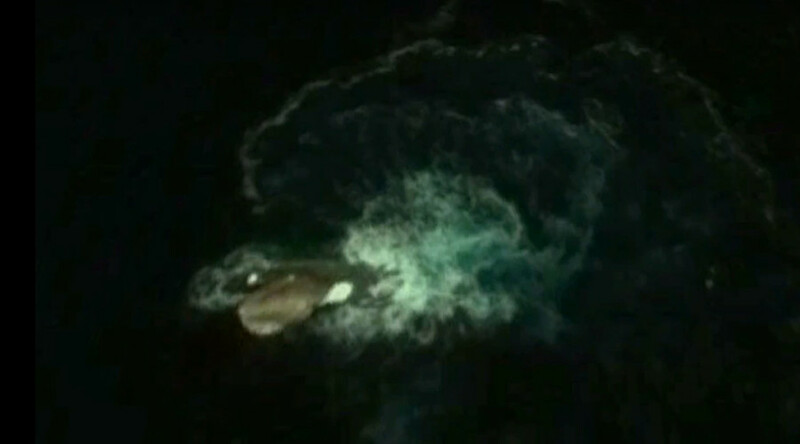 A mysterious image captured near Antarctica by Google Earth has sparked a frenzy of speculation online with theories about its source ranging from the mythical ‘Kraken’ sea monster to an aquatic UFO. The image of the elusive being was first spotted off the coast of Deception Island in the South Shetlands on Google Earth on April 9 and shared through a video on YouTube in an effort to solve the oceanic mystery. It’s estimated the creature measures up to a massive 120 meters in total, prompting some to believe the legendary Kraken sea monster has finally been found. “That sound like a Kraken to me. Maybe the stories about the giant sea monster of the deep are all true,” Scott Warring from UFO Sightings Daily wrote. Legend has it the sea monster, similar in form to the giant squid, roamed the waters of Norway and Greenland attacking ships by wrapping its tentacles around them. Another theory is that the creature is in fact a plesiosaur, a now-extinct marine reptile common during the Jurassic Period. “When I saw it, it immediately made me think of a plesiosaur fin,” the YouTube user who uploaded the video wrote. “That's one massive disturbance in the ocean down there and who knows what really caused it. Maybe now we know the source of ‘The Bloop’,” the post continues. ‘The Bloop’ was an ultra low-frequency sound detected by the US National Oceanic and Atmospheric Administration (NOAA) in 1997. It sparked theories that perhaps its was an unknown sea creature. The NOAA later said it was satisfied that the noise actually came from an ‘icequake’, caused when a huge iceberg cracked. Other suggestions for the cryptic Antarctic image include a giant squid attacking a whale, while some even go as far as to propose it could be an underwater UFO. The image can be viewed on Google Earth using the coordinates 63° 2'56.73"S 60°57'32.38"W.